We are your local home town agent who are ready to serve you in all your Real Estate needs. 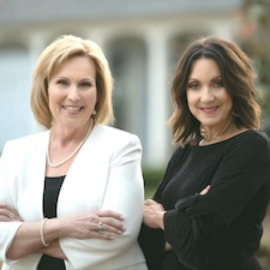 Whether buying or selling, Team Sisters will work to meet your needs and we give our personal time and assistance to each of our clients. Combined experience of 36 years, working with families in helping them with their home needs, has allowed us to gain personal knowledge in what is most important.. our clients. We are trained and qualified to handle all situations that may arise in the process of your home transaction. You can count on us to assist you with any referral needed to make the transition go smoothly. Call anytime. "Your Local Agent for Life!" - Remax Professional..